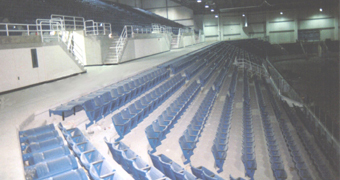 Precast prestressed concrete is an excellent product to support stadium seats. 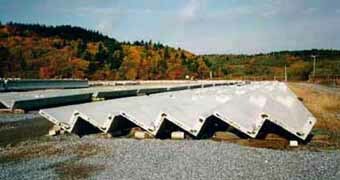 These precast prestressed platforms can span up to 29'-0". The casting beds for the platforms have adjustable rises which can be easily changed to suit various conditions. The underside of the precast prestressed platforms can be used as an exposed ceiling. The support beams can be either concrete or steel. The steps for the vertical walkways can be precast as well.